Keefe never has been a patient hitter. In past seasons, Keefe has been a bit of a liability with men on base. Keefe always has been a line-drive hitter who uses the entire field. He hits righthanders and lefthanders with equal consistency. He doesn't get good jumps on grounders, but his routes are fine and his hands aren't bad. His arm is accurate enough. Keefe isn't fast, but he's a heady baserunner who rarely gets thrown out. 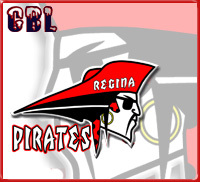 If Keefe doesn't perform, the Regina Pirates won't hesitate to send him down to the minors.